Undecided about transferring money out of South Africa? When is the right time? Should I risk waiting for a recovery or should I transfer now? Should I transfer into US dollars or another foreign currency? Where do I get the best rates? 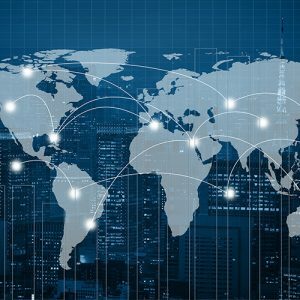 How do I invest my money once it’s outside South Africa and what investments will have the best chance of protecting and preserving my wealth? What taxes will I have to pay? What local requirements are there, for instance reporting to SARS or dealing with the Reserve Bank? What happens to my offshore funds when I die? Palmer’s advice is to avoid advisers who predict doom and gloom and crashes in the rand. The truth is, no-one can really predict what the rand might do. Ideally, to cover yourself, Palmer says you should have at least 50% of your liquid assets invested in markets outside South Africa. Once you are in this position the rand’s movements won’t affect you that much and you can spend less time worrying about short-term currency movements and more on your personal wealth plan. You may also be asking yourself how to best time the transfer, but the answer is, you can’t. Even your best planning and timing can still be upset by unforeseen developments. So, best is to decide to move the funds offshore and then follow a disciplined approach of transferring every 3-6 months, no matter what the rand is doing, says Palmer. During some quarters you will get a good rate and in others not, but on average you should be fine. How much are you allowed to take offshore? No SARS tax clearance is required. If you have already used personal funds or a credit or debit card travelling or purchasing internationally this year, these amounts will be deducted from the allowance. A SARS tax clearance certificate is required, which can take up to 10 working days. You can apply for the allowance once each calendar year, valid for 12 months, even if you don’t know yet how much you will use, if any of it. So, it makes sense to apply anyhow. As with all financial decisions, it is always highly recommended that you review your portfolio with a professional financial planner to ensure it is properly integrated into your overall wealth strategy. A qualified adviser will also ensure that all relevant documentation is in order, your application is processed efficiently, and funds are transferred smoothly, on time and often with better exchange rates than when using your own bank. Don’t leave anything to chance or risk making uninformed decisions. If you feel undecided, have more questions or need professional assistance, you can contact Carrick at wealthmanagement@carrick-wealth.com and one of our wealth specialists will get in touch with you.